National Shipping Company of Saudi Arabia (Bahri), a global leader in logistics and transportation, has announced the expansion of its market presence in the Asia-Pacific (APAC) region’s maritime industry. The stronger presence will help the company gain deeper insights into market trends as well as customer needs in chemicals and logistics sectors in Singapore and the wider APAC region, said a statement from the company. 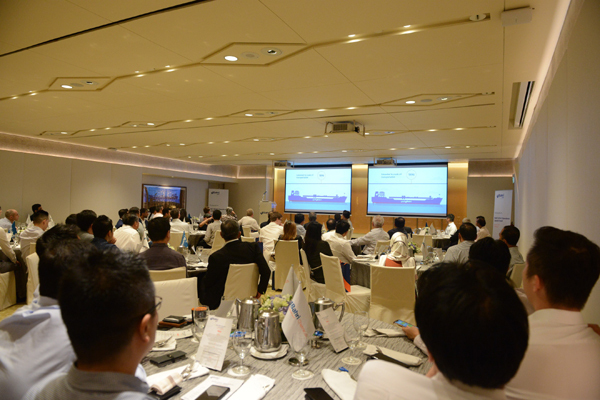 The announcement took place at a grand ceremony held on April 5 at Regent Hotel in Singapore, in the presence of Abdullah Aldubaikhi, chief executive officer of Bahri, and senior executives of the region’s oil majors, petrochemical trading companies, and ship brokers, it said. The expansion will also enable Bahri Logistics and Bahri Chemicals, two of five business units of the company, to market their offerings, acquire new clients, serve existing clients, and channelize the communications. Bahri has plans to expand the services of its other business units to the APAC region in the future. “As a result, we have established a solid presence regionally and globally. Our expansion in the Asia-Pacific region represents a key milestone in our journey, and with this, we have come even closer to our customers, allowing us to serve them better offering a wider range of industry services and unprecedented value,” he added. Over the past 41 years, Bahri has steadily expanded market presence to cement its position as a global leader in the maritime industry. The company currently has offices in Saudi Arabia, UAE, US, and India, in addition to a vast network of agents across the Middle East and Africa, US, Europe, and Asia. Bahri is the leading direct full liner service provider from U.S. East and Gulf Coast ports and Canada to Jeddah, Dubai, Dammam, and Mumbai, including way-port calls along the liner service route in the Mediterranean and Europe. As a true testimony to the company’s strong presence in Asia, Bahri’s global network of destinations includes ports in China, India, Singapore, and South Korea. Bahri Chemicals is the largest owner and operator of chemical carriers in the Middle East, serving 150 ports worldwide. It owns and operates 36 chemical/product tankers with a capacity of 1.1 million DWT designed to the highest specifications, capable of carrying a wide range of chemical cargoes.